The Human Resources assistant duties are to help with the day-to-day functions and duties in and around the HR office. Departmental development, employee relations and hr employee communications, training and development of employees, employee benefits, compensation, organization development, executive administration, and employment. There are more that we won't mention here yet. Find us fast when you need us, do it while you are here. Performing some of the sections of new hire employee company orientation. Assisting other team members of Human Resources with employee relations. Participating in company-wide committees and providing your participation. Providing company employee communication on various subjects that deal with company policy. Being very cooperative and assisting with the ho hum day-to-day operation of the HR office. 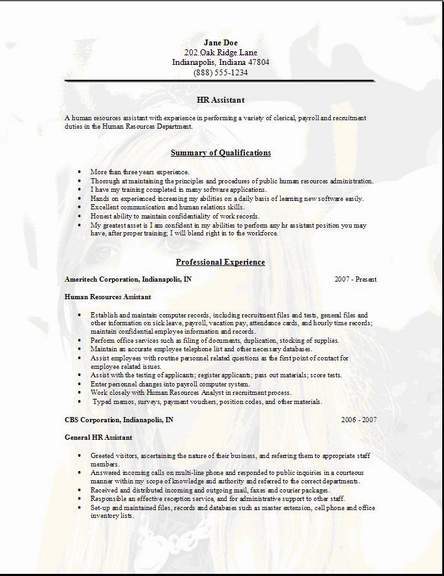 How you can obtain one of these great positions, by completing two years or more, general business type experience, Human Resources job experience is desired. This can be a fascinating profession to get into, starting out with the ground floor opportunity this position offers, then, work your way up. 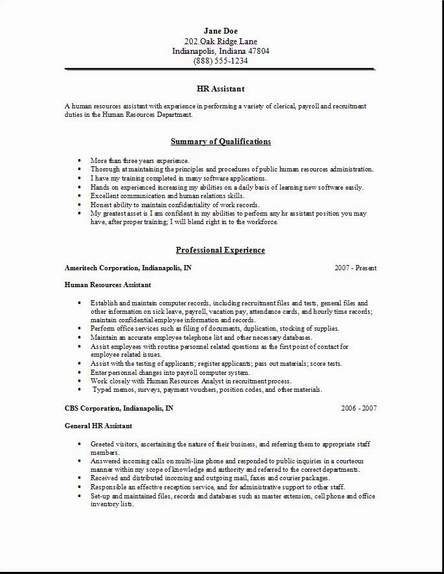 Most companies prefer a 2 year associates degree that is also preferred business administration category listed on your hr assistant resume. 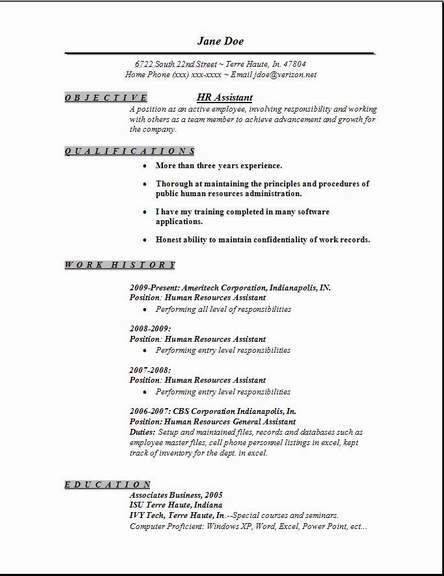 The hr resume template you see above is a recent addition and I hope you enjoy my choice of downloading 3 resume formats that I find extremely useful. I prefer Chronological, most people agree and choose to use that one. If you are going to download even one free template we offer today, go to our contact us page and let me hear from you. I like hearing from you. These files are in word document that are held by zip file so do be very patient when you are opening them.